The draw for residents and visitors alike is powerful, from the Pittsburgh Cultural District and its many theaters and restaurants and nightspots to the newly renovated Market Square with its European piazza flair, offering a charming and lively meeting spot throughout the day—and home to a weekly Farmer’s Market and more events in the summer. No matter your style, there are always things to do in Downtown Pittsburgh. Downtown is also the hub of the transit system so bus service and T-stations abound. As for recreation? Plentiful. The three rivers are perfect for kayaking and boating and even sailing, and miles of riverfront trails make for great walks and scenic biking. 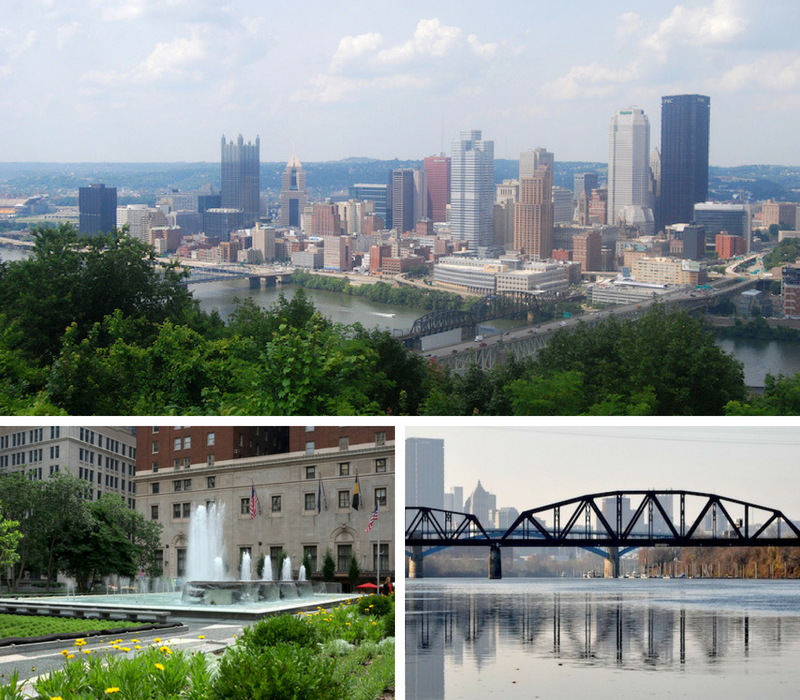 Point State Park, with its glorious newly refurbished fountain, offers more green space for tossing a Frisbee, walking a dog or enjoying one of the many concerts or festivals held on its grounds. To explore beyond downtown, cross a bridge and you’re on the North Side or the South Side or walk a mile or two and find yourself in the Strip District. Or simply gaze across the Allegheny River for a wonderful view of the bluff and Mt. Washington perched on the top. Downtown has its share of schools, too, from Urban Pathways Charter School to Point Park University and the Art Institute. It all adds up to a very vibrant and livable Downtown. As the heart of the city, Downtown has easy access in any direction and is home to numerous corporations from PNC to U.S. Steel to UPMC.